Limited testing begins this summer. Ever since Google played a demo of Duplex, its AI-powered real-world chatbot, at its I/O developer conference in May, people have been trying to undermine it as unethical, immoral, or just plain fake. Those criticisms haven't deterred Google from its plan to unleash Duplex upon restaurants and hair stylists all over the country. During a demo with media outlets this week, Google said Duplex is set to begin rolling out across the United States sometime this summer. Don't expect it to appear on your Android phone just yet, though. It'll start in limited testing with "a set of trusted tester users," according to The Verge. 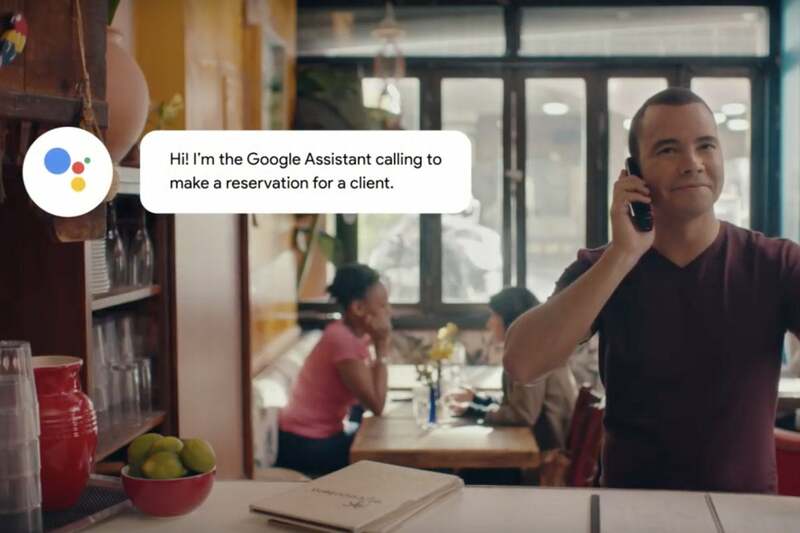 Google Duplex is ready to star making real calls to real people. That means Duplex won't just be picking phone numbers at random, but it will be making real calls to real people. To prove it, Google let a handful of journalists attempt to trick Duplex when it called to make restaurant reservation. Many were successful, but Google has a plan to handle such slip-ups. It will pair the AI chatbot with real people, "a bank of human operators," ready to jump in when the going gets rough. The impact on you at home: Unless you run a restaurant that's on the list of Google's trusted partners, Duplex won't have a direct impact on your life just yet. But Google is clearly determined to make Duplex a part of the Assistant experience. It will likely still be years before it's an real feature on Android phones, but Duplex's real-world testing is a major first step toward its eventual deployment. While Duplex sounded as human as it did at I/O according to reports—including all those mmm-hmmms and ummms—there was one major difference: disclosure. 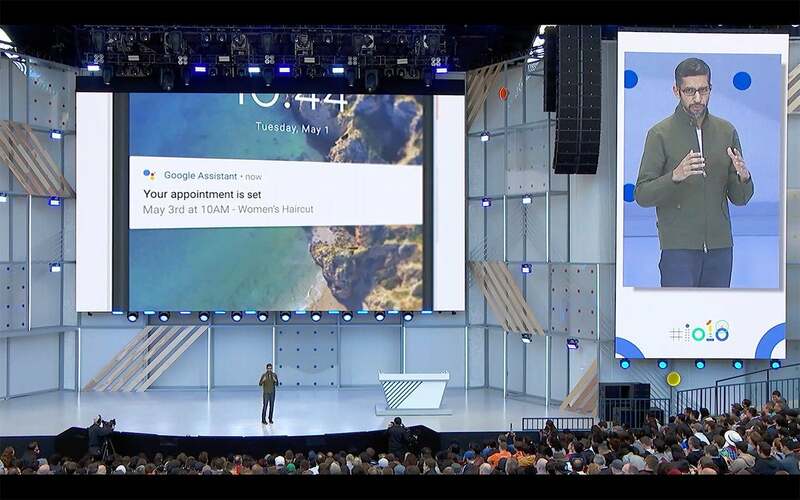 Before each call, Duplex specifically identified itself as "Google’s automated booking service" and informed the party that it was being recorded. That's an important distinction between your standard telemarketer and a machine learning-powered algorithm, and will go a long way toward easing people's minds. The Verge also says the user will need to give Google Assistant explicit permission to access things like their email address and phone number before it can go to work. According to Google, if the person on the other end says that they don't want to be recorded, Duplex will hang up (following the appropriate salutation) and hand off the call to a human operator. Presumably the plan is to make it 100 percent autonomous, but that's likely years away. Google says about 80 percent of Duplex calls can be handled without human interference, so it still has a long way to go. The first task Duplex will undertake will be polling businesses about holiday hours. As Google announced at I/O, search results will soon show whether a business is open, closed, or has different hours during major holidays. It's a perfect start for Duplex, as it shouldn't have to deal with too many errant responses. It's the closest thing to a scripted call, and it will give Google's engineers a chance to see how it handles minor deviations in responses and different dialects. Google says it will begin testing restaurant reservations later in the summer, followed by haircut appointments, the only two tasks it can handle at the moment. It's also limited to English calls and doesn't yet have the proper permitting for all 50 states. But make no mistake, Google Duplex is real. While Google assures us it will be "very slow, very careful, and very thoughtful as we go here,” the company is taking a very important step in the advancement of AI. If Google gets it right, we might never look at Google Assistant the same way again.